If you have concerns about cooling costs this summer, you’re not alone. Easily one of the biggest bills homeowners face every summer is the cost of keeping the house comfortably cool. However, there are things you can do to help your heating and air conditioning unit do its job, saving money at the same time. Keep the drapes and blinds in your home closed on hot summer days to prevent heat buildup. This will keep the sun and heat out of your house and make it easier for your system to cool it down. Replace air filters every month to ensure easy airflow in your house. You should also clean the intake for air. Dust can make it work inefficiently. 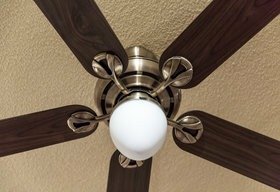 Ceiling fans or even standalone fans will keep you feeling cooler. While they do not change the temperature of the room, you feel more comfortable because of the air circulation. Doing so allows you to set your temperature a little higher. A programmable thermostat will allow you to set the household temperature higher during times when you are not at home or asleep. This is ideal for reducing cooling costs and saving money, as you are not unnecessarily cooling the home when it is not needed. Have your HVAC system professionally checked before the start of the warmer months to ensure it is working as it should. A professional can detect small problems that can cause your system to be inefficient and drive your cooling bills up. 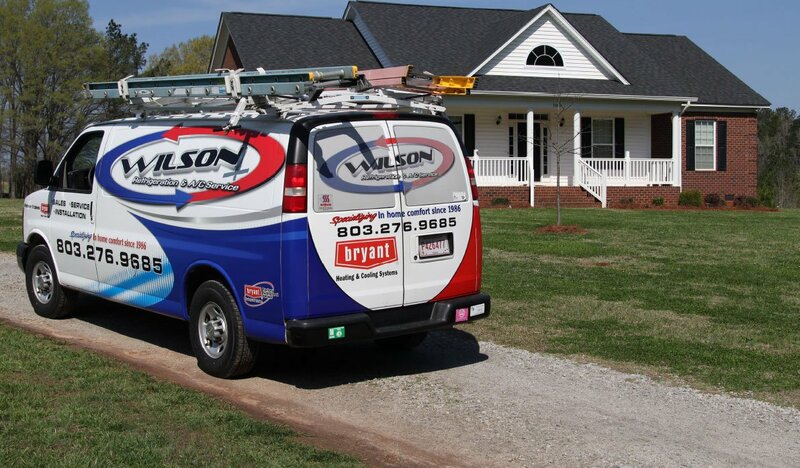 Often a tune-up and minor repairs will help ensure your bills stay as low as possible. 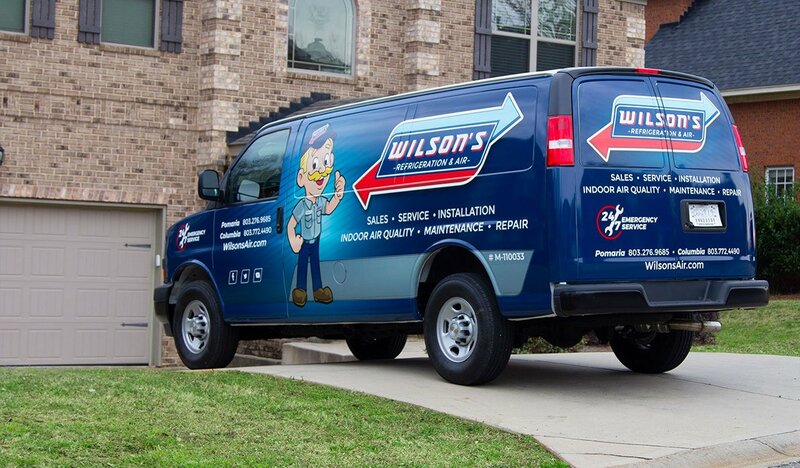 Schedule professional heating and air conditioning maintenance now with our team at Wilson’s and save on cooling costs this summer.